Will someone help a 12 yr. old boy? Daniel Coleman, one of our staff came to me asking if we could please help this 12 yr. old boy. Otis Jallah could be in Gr. 2 but his parents have no money to send him to school. 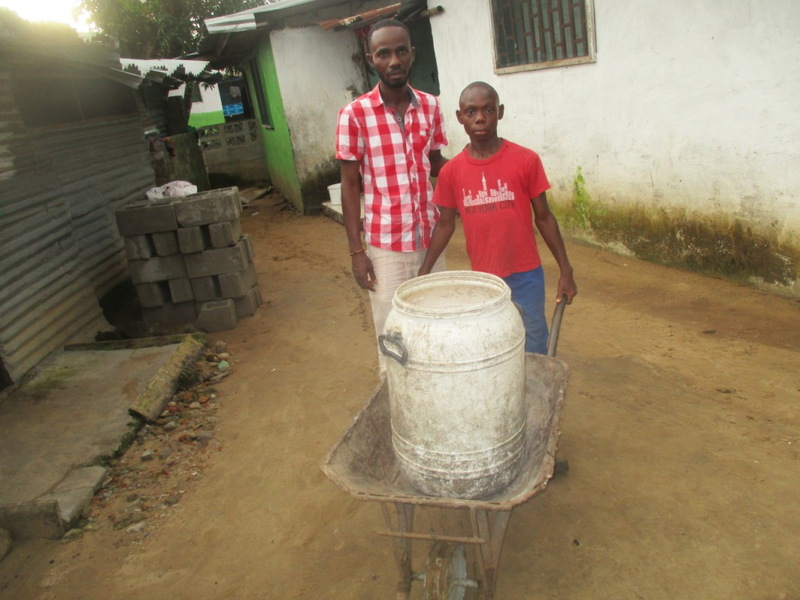 Everyday he goes about collecting garbage, in order to help his family eat. He has 4 siblings who are younger than he is. 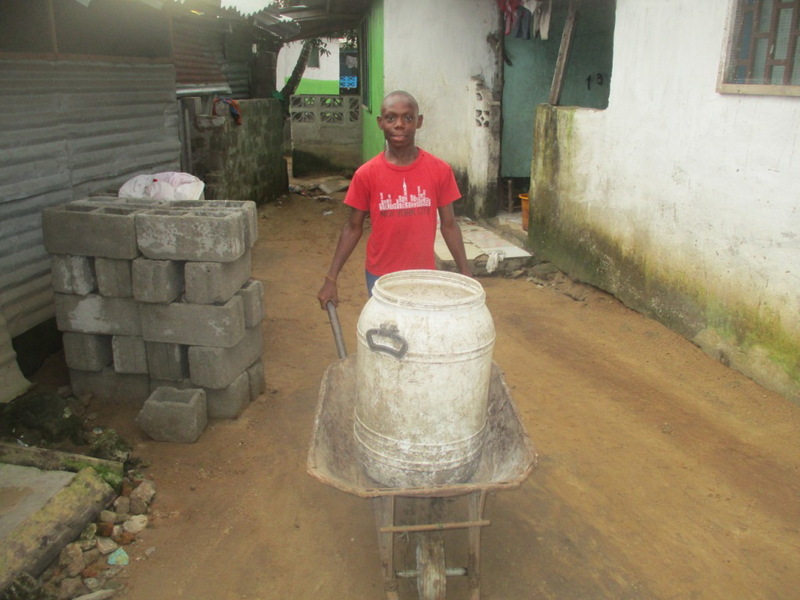 His mother does cooking, and washing clothes in the community, to bring in small amounts of money. His dad is a carpenter, when he can find any work. They are extremely poor. Otis with Daniel Coleman. Daniel has a heart for children and has been drawn to help this young boy. Photo of Otis’ wheel barrow with only a rim making his job very hard. His boots have holes so when he walks through sewer or bad water his feet get wet. Otis Jallah helps his family every day by collecting local garbage and getting paid. His profits are very little, but it helps feed his family. 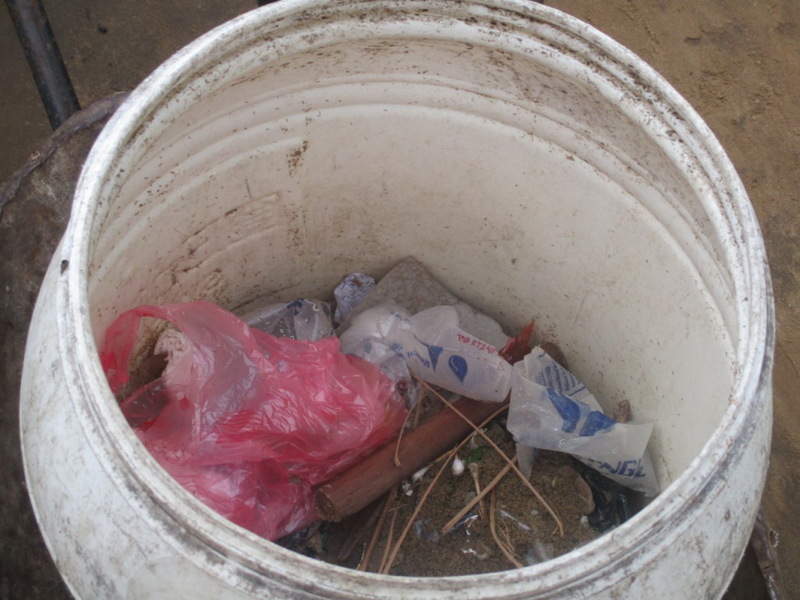 A sample of the garbage Otis collects in the community. Provision of Hope likes to help young children like Otis, who show their work ethic and are serious about helping their families. Hopefully one day, Otis will be back in school. These are the children we try to help, when funding becomes available. This year Provision of Hope was able to fund 114 Elementary and High School Students. We also funded 9 university students. Thank you to all our donors who are so faithful in giving! 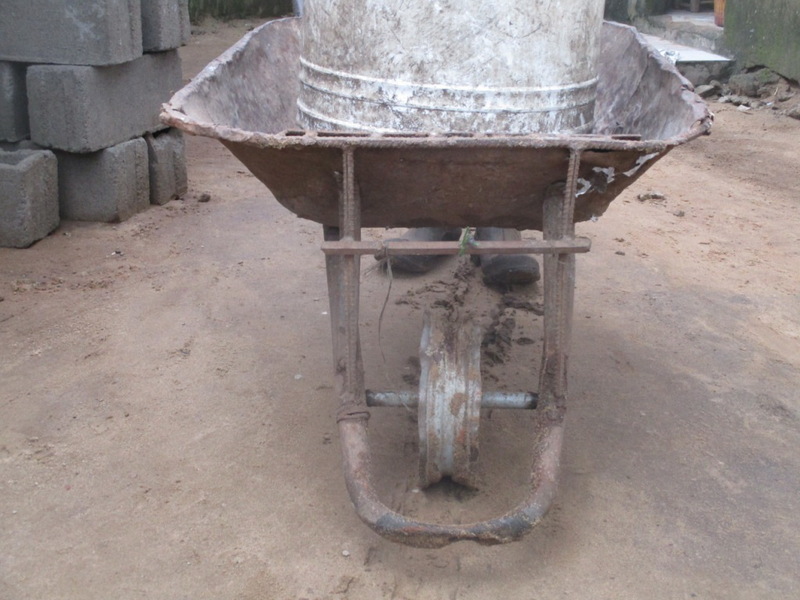 With your donation we will send you a photo of the new wheel barrow and boots! This is a great project for young children! « Lets save the children! » GIVE a GIFT OF HOPE this Christmas!